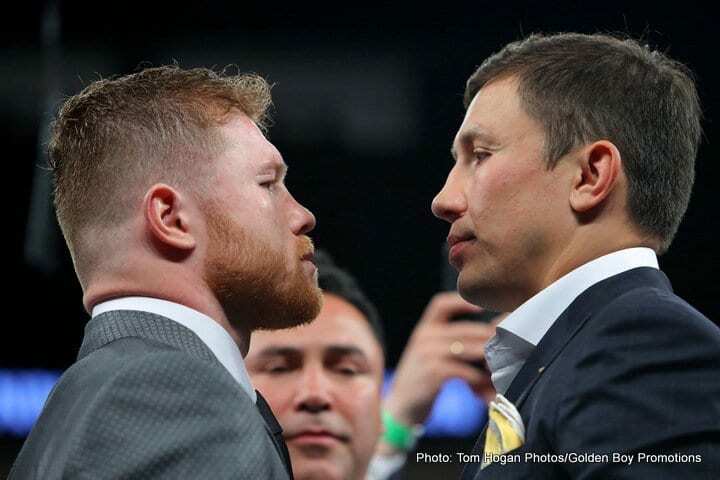 After putting on a show in Las Vegas this past September, Gennady Golovkin and Canelo Alvarez will once again face off in the ring, setting a rematch of their split draw for May 5 at a location to be determined. Canelo vs. Golovkin was the No. 6 best-selling event in the secondary market for 2017, according to data courtesy of Ticket Club. It trailed only Floyd Mayweather vs. Conor McGregor in terms of secondary market sales totals for combat sports, with two World Series games, an International Champions Cup contest between Real Madrid and FC Barcelona and the Super Bowl also ahead of it sales-wise. The deal for the rematch was finalized on Saturday in Inglewood, California, according to a report in USA Today. Oscar De La Hoya of Golden Boy Promotions and Tom Loeffler of K2 Promotions, came to an agreement at an event that featured Lucas Matthysse and Jorge Linares each win world championship fights. In the first fight, two of three judges had the bout scored very close – one had it 115-113 for the then-37-0 Golovkin, while another scored it at an even 114-114. The third judge, however, scored the fight a lopsided 118-110 in favor of Alvarez. That controversial scorecard led to the judge, Adalaide Byrd, taking a lengthy break from her duties as a judge with the Nevada State Athletic Commission. Regardless of that bit of controversy, the fight left plenty of boxing fans wanting more, and the May fight will bring just that.